Stephen Robert (Steve) Irwin was born February 22, 1962, in Essendon, a suburb of Melbourne in Victoria, Australia. He died on September 4, 2006, after being stung by a stingray while filming an underwater documentary near the Great Barrier Reef in Australia. Irwin received a puncture wound in the upper left side of his chest, which resulted in a form of cardiac arrest, killing him almost instantly. His crew called for emergency medical treatment and tried to revive him with CPR, but he was pronounced dead at the scene when the emergency medical team arrived. Steve Irwin married Terri (Raines) Irwin on June 4, 1992, just six months after they met when she was visiting the Australia Zoo, a popular wildlife park that Irwin owned and operated. According to Irwin, it was love at first sight. The couple spent their honeymoon capturing crocodiles, and the film of that experience became the first episode of The Crocodile Hunter, the popular documentary television series that made them international celebrities. Steve and Terri Irwin have two children. Their daughter, Bindi Sue Irwin, was born July 24, 1998. Their son, Robert (Bob) Clarence Irwin was born December 1, 2003. 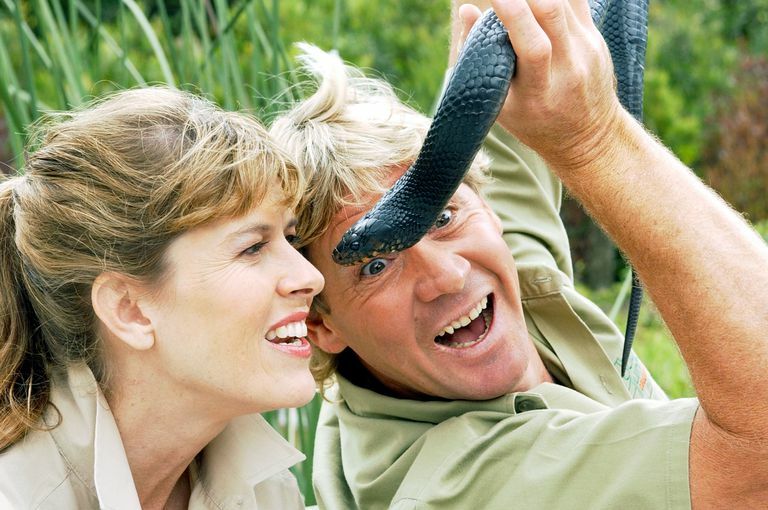 In 1973, Irwin moved with his parents, naturalists Lyn and Bob Irwin, to Beerwah in Queensland, where the family founded the Queensland Reptile and Fauna Park. Irwin shared his parents’ love of animals and soon began feeding and caring for the animals at the park. He got his first python at age 6 and started hunting crocodiles at age 9 when his father taught him to go into the rivers at night to capture the reptiles. As a young man, Steve Irwin took part in the government’s Crocodile Relocation Program, trapping crocodiles that had strayed too close to population centers, and either transferring them to more appropriate locations in the wild or adding them to the family park. Later, Irwin was director of the Australia Zoo, which was the name he gave his family’s wildlife park after his parents retired in 1991 and he took over the business, but it was his film and television work that made him famous. The Crocodile Hunter became a wildly successful TV series, eventually airing in more than 120 countries and reaching a weekly audience of 200 million viewers—10 times the population of Australia. In 2001, Irwin appeared in the film Dr. Doolittle 2 with Eddie Murphy, and in 2002 he starred in his own feature film, The Crocodile Hunter: Collision Course. Irwin also appeared on top-rated television programs such as The Tonight Show with Jay Leno and The Oprah Show. Irwin sparked public and media criticism in January 2004, when he carried his infant son in his arms while feeding raw meat to a crocodile. Irwin and his wife insisted the child was never in danger, but the incident caused an international outcry. No charges were filed, but Australian police advised Irwin not to do it again. In June 2004, Irwin was accused of disturbing whales, seals and penguins by coming too close to them while filming a documentary in Antarctica. No charges were filed. Steve Irwin was a lifelong environmentalist and animal rights advocate. 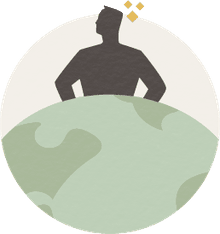 He founded Wildlife Warriors Worldwide (formerly the Steve Irwin Conservation Foundation), which protects habitat and wildlife, creates breeding and rescue programs for endangered species, and leads scientific research to aid conservation. He also helped found the International Crocodile Rescue. Irwin founded the Lyn Irwin Memorial Fund in honor of his mother. All donations go directly to the Iron Bark Station Wildlife Rehabilitation Center, which manages 3,450 acres of wildlife sanctuary. Irwin also purchased large tracts of land throughout Australia for the sole purpose of preserving them as wildlife habitat. Finally, through his ability to educate and entertain millions of people, Irwin raised conservation awareness around the world. In the final analysis, that may be his greatest contribution.